How Much Does a Boiler Repair Cost in Vancouver? Got a busted boiler that needs to be fixed? In the Vancouver area, the cost to repair a boiler can run anywhere from $199 to over $599. Most homeowners pay around $399. Wondering why such a big range? Need a boiler repair? Call us at 604-283-2383 or contact us online. We’ll send a tech to your home (most likely today) to diagnose the problem—for FREE. How it affects price: Some boiler parts cost more than others. Note: The price ranges above are average costs on most repairs and replacements. Your exact cost might be different, depending on the age of your boiler and how well you’ve maintained it over the years. How it affects price: If your boiler is still under warranty, you could pay a lot less for the repair. Parts warranty: Covered by the manufacturer (e.g., Lennox, Rheem, Weil McLain, etc.) that made your unit, this warranty usually covers the cost of any faulty parts 5–10 years after installation. Labor warranty: Covered by the contractor that installed your boiler, this warranty covers the cost of labor to repair or replace a part on your boiler. Most reputable contractors guarantee their work at least 1 year after installation. If you opted for an extended parts or labor warranty (when you installed the unit), your warranty will last longer than the timelines we mentioned above. Call the contractor that installed your boiler. They should have your warranty information on file. Search the manufacturer website. 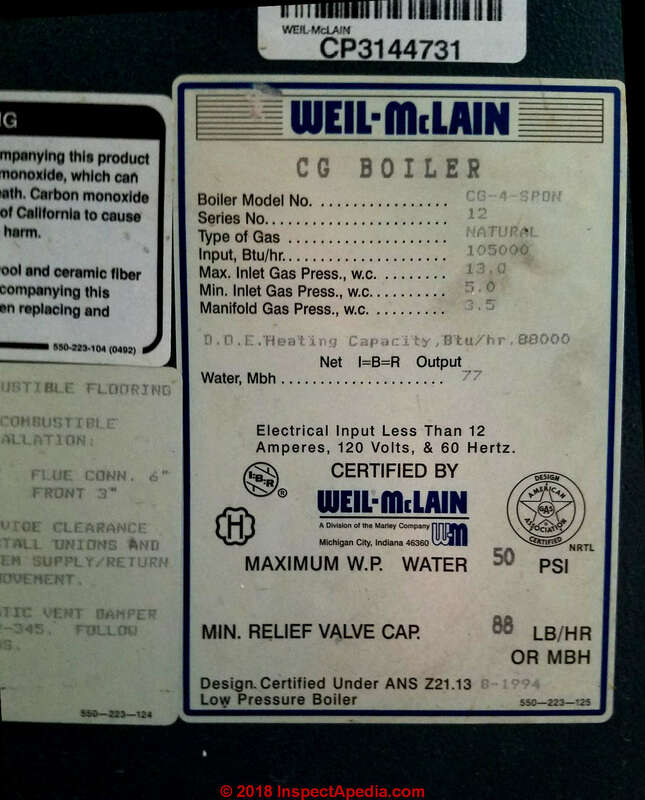 You’ll want to have your boiler’s make and model number ready (found on the manufacturer label). If you’re having trouble finding the warranty information, contact the manufacturer’s customer service department. They should be able to point you in the right direction. How it affects price: Every contractor charges for their services a little differently. If they charge a service call charge. Most contractors charge a service call charge (sometimes called a “trip fee”) to come diagnose the problem with your boiler. Some contractors (like us) waive the service call charge if you choose them to repair your boiler. Whether they charge a flat rate or by the hour. Hourly pricing means you’re charged based on how long it will take the contractor to repair the boiler. Flat-rate pricing means you’re paying a fixed rate, no matter how long it takes the contractor to repair your boiler. Also, better-quality contractors usually charge more for their repair services. Why? Well, they do better work. A quality contractor will have the experience and know-how to properly repair your boiler. Be insured and have a gasfitting license, so you’re covered in case anything goes wrong on the job. Guarantee their work to make sure you’re completely satisfied with the repair. Give you a written price quote, so you know what you’re going to pay before any work begins. Need your boiler repaired? Call a Vancouver pro. We’ll diagnose what’s wrong with your boiler, give you upfront pricing and repair your boiler—most likely within the same day. How Much Does it Cost to Repair a Furnace in Vancouver? How Much Does it Cost to Install a Boiler in Vancouver?